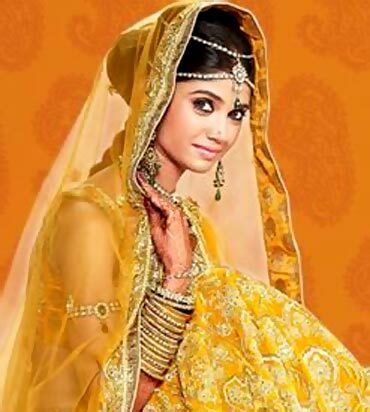 After Rakhi Ka Swayamvar and Rahul Dulhaniya Le Jaayega, Imagine TV is all set to launch Ratan Ka Rishta, where television actress Ratan Rajput will get to choose her husband on national television. But just who is Ratan Rajput? We decided to introduce you to the starlet before the show goes on air next year. Ratan had featured as one of the three daughters in Radhaa Ki Betiyaan Kuch Kar Dikhayengi on Imagine TV before getting a big break in Agle Janam. There were reports that she was seeing Vikas Goopta, the creative member of Ekta Kapoor's Balaji Telefilms but they have never admitted to their relationship. The Patna-based girl is most popular for her role of Laali in Agle Janam Mohe Bitiya Hi Kijo, one of the most popular shows on television. Her character has made her so famous that viewers tend to remember her as Laali, rather than her real name. Ratan was never interested in studies. Her only dream was to act. So after she completed her education in Meerut, she shifted to Delhi to pursue theatre. After five years of theatre, her guru Surendra Sharma advised her to go to Mumbai and try her luck. Ratan came to Mumbai with two friends. After an audition, she was immediately selected for a serial on Doordarshan Network. Ratan is a popular face on television but her swayamvar on television has surprised her friends and fans. Sources say that Ratan Ka Rishta has seen a good response, as suiters are queuing up to woo her on television. After the phone lines were opened, the first hour registered as many as 500 calls from all over the country. The channel will finally select 21 contestants. Ratan Ka Rishta is likely to take off in February.